FOCAC- helping Africa break it`s three development bottlenecks. The recent Forum on China-Africa Cooperation (FOCAC) in Johannesburg has provided a new direction for cooperation. Ballooning trade figures show the reason: when the forum was first established in 2000, the trade volume between China and Africa stood at 10 billion U.S. dollars. Now China has become the continent's largest trading partner, with the Chinese Ministry of Commerce expecting trade to reach 300 billion dollars at the end of 2015. Cooperation with China is helping Africa break it`s three development bottlenecks of poor infrastructure, shortage of technical graduates and inadequate funding, accelerating its industrialization and agricultural modernization. The summit has provided strengthened consensus between the world's largest developing country and the continent with the biggest number of developing and underdeveloped countries. Chinese President Xi Jinping announced that his country will roll out 10 major plans to boost cooperation with Africa in the coming three years. Covering the areas of industrialization, agricultural modernization, infrastructure, financial services, green development, trade and investment facilitation, poverty reduction, public welfare, public health, people-to-people exchanges, and peace and security. To ensure a smooth implementation of the initiatives, Xi announced, China will offer 60 billion U.S. dollars of funding support including: 5 billion dollars of free aid and interest-free loans, 35 billion dollars of preferential loans and export credit on more favorable terms, 5 billion dollars of additional capital for the China-Africa Development Fund and a Special Loan for the Development of African SMEs, and a China-Africa production capacity cooperation fund with the initial capital of 10 billion dollars. China will establish a number of regional vocational education centers and several capacity-building colleges for Africa, train 200,000 technicians for African countries, and provide the continent with 40,000 training opportunities in China. Furthermore, China will offer African students 2,000 education opportunities with degrees or diplomas and 30,000 government scholarships. Additionally China will also invite 200 African scholars to visit China and train 1,000 media professionals from Africa. On poverty reduction, President Xi said China will launch 200 "Happy Life" projects and special programs focusing on women and children and cancel outstanding debts in the form of bilateral governmental zero-interest loans borrowed by the relevant least developed African countries that mature at the end of 2015. In order to help Africa accelerate agricultural modernization, China will carry out agricultural development projects in 100 African villages to raise rural living standards, send 30 teams of agricultural experts to Africa, and establish new cooperation mechanisms between Chinese and African agricultural research institutes. On security cooperation, Xi announced that China will provide a total of 60 million U.S. dollars in free aid to the African Union (AU) to support the building and operations of the African Standby Force and the African Capacity for the Immediate Response to Crisis Force. The Chinese government has also finalised a deal with the Djibouti to build its first international military base, granting China land rights for ten years. Whilst international critics have have focused on the threat of China’s military expansion in the region. 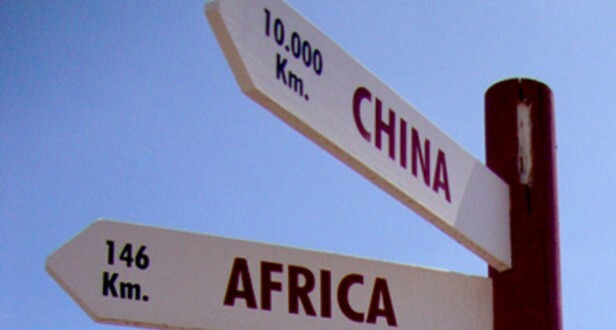 The new base, reflects China’s long-term economic goals in Africa more than its current military objectives: as Chinese economic interests expand in Africa it is likely that their military presence will grow as well. The base will serve a number of different functions: as a logistics hub for naval operations to support Chinese anti-piracy operations, as a staging point for operations similar to the deployment in South Sudan, and a means for ensuring that Chinese infrastructure investments remain secure. It has become increasing apparent that Western FDI models have not been working in large tracts of Africa. South African President Jacob Zuma said at the summit "Western countries had been in Africa for centuries to rob Africa's resources. They should be admitting what they have done. Some (Western countries) are rich because of the resources they took from Africa. They never thought of helping Africa to develop". Still only accounting for less than 4% of the continents FDI, Chinese investment is equally distributed between good and poor governance countries in the Continent. China`s philosophy to “respect each other's choice of development path and not impose our own will on others” must be given an opportunity to work. However this is not pure philanthropy. China is using African infrastructure projects to keep its construction industry busy: which has emerged over the years as one China’s most important exports. Constituting roughly one quarter of China’s $10 trillion economy it is slowing alarmingly on the domestic front. Chinese companies have achieved unprecedented penetration of the African construction sector and this trend now shows no signs of slowing. Infrastructure construction in Africa has now become an end in itself. Each year route 163, in the Brazilian State of Mato Gross, becomes one of the busiest roads in South American during February and March, as it links soybeans, the country's most important agricultural export commodity, to their biggest market - China. These links between China and Brazil mirror the growing relations between the two peoples, which have been nurtured and consolidated by the strong growth of the agricultural trades between the two nations. During the last decade, the Sino-Brazil agricultural trade has increased six fold. According to Brazil's Ministry of Development, Industry and Foreign Trade, in 2014, soybeans remained its biggest agricultural export product, with 45.69 million tons in volume and 23.27 billion U.S. dollars in value. Of this total, 33.17 million tons were shipped to China and this number is expected to reach 46 million in 2015. China surpassed the European Union (EU) in 2013 as the biggest market for Brazil's agricultural exports. Sino-Brazil trade is just a part of the wider Sino-Latin America agricultural cooperation, as China has also made huge progress in agricultural collaborations with other countries like Argentina, Chile, and Peru over the past decade: Sino-Latin American agricultural trade increased from 5.28 billion U.S. dollars in 2003 to 35.33 billion U.S. dollars in 2013, with an annual growth rate of 21 percent. Latin America has become a crucial source of agricultural products for China, currently making up 19 percent of China's total agricultural imports. To date, China has signed memorandums on agriculture cooperation with 16 Latin American countries, and formed joint committees or working teams with 12 of them. However there now needs to be an evolution in the relationship. Since the start of the year a fund of 50 million U.S. dollars for Sino-Latin American agricultural cooperation had begun to finance joint projects. Chinatex has begun to provide financial services to Brazilian farmers and is also considering expanding into fertilizers, pesticides and machinery financing. COFCO, has established a strategic cooperation relationship with Nieddera (by purchasing a 51% stake in the Dutch company) and entered the Latin American market with the latter's logistics and warehouse networks in Brazil, Argentina and Uruguay. 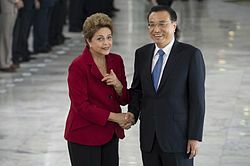 Against the backdrop of falling commodities prices, Chinese Premier Li Keqiang has proposed a "3x3" model for China-Latin America production capacity cooperation: the first "3" refers to cooperation in building three arteries for Latin America in the fields of logistics, power and information; the second "3" refers to sound interaction among businesses, society and the government; the third "3" refers to the expansion of the three financing channels of funds, credit and insurance. China increasingly provides a source of financing and export markets without pressures to adhere to the practices of transparency and open markets principals to Latin America. It is also filling a vacuum left by decreasing interest from US companies in the region. There’s no reason why India shouldn’t achieve double-digit annual growth rates and join China as an Asian Superpower. Whilst India has the resources and the population to become an Economic Superpower they have some serious internal problems that will hinder them becoming a global superpower in the near future. India continues to struggle with poverty, sexism, internal bureaucracy, corruption and regional power struggles. And so perhaps the question needs to be "Does India need to be a Superpower at all?”, whilst it is still dealing with its numerous domestic issues. However for the scope of this article we will only consider in what economic areas could India catch up to China in the next few years? The following chart breaks it down using data from the latest Global Competitiveness Report. As it currently stands, India is already a superpower when it comes to internal demand. According to the Global Competitiveness Report, India has the third largest market size – behind China and the US, but ahead of other regional economic powers such as Germany, Japan and Brazil. 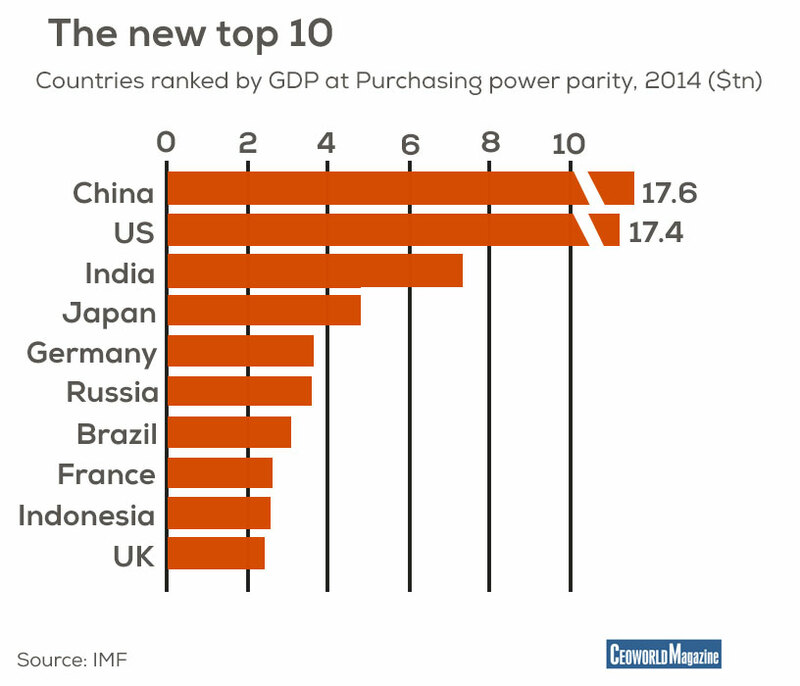 But India does have some catching up to do if it wants to surpass China and the US. Both countries have a GDP, measured according to purchasing power parity, of about $18 trillion. India’s, at $7.4 trillion, is still much smaller. That said, India’s growth rates will almost certainly surpass China’s this year. With an expected growth of 7.5% this year, India is, for the first time, leading the World Bank’s growth chart of major economies. India and China are also close contenders when it comes to their financial market development, coming in at 51st and 54th place respectively in the Global Competitiveness Report rankings. Both countries have been making great progress in recent years in the availability of venture capital. For example, both China and India have doubled their share in global venture capital in recent years: China jumped from an average of 9% before 2014, to 18% in 2014; India progressed from 3% to 6% in the same period of time. Both India and China have also seen their stock market capitalization increase dramatically in the last decade (source: World Bank). India’s stock market tripled in size from 2002 to 2012, China’s almost quintupled, and has more than doubled in the last three years. In June, total Chinese stock market capitalization stood at some $10 trillion, making the Chinese stock markets the second largest in the world, behind only the US. And it overtook India, historically one of the hottest stock markets in the emerging world, with its market cap to GDP ratio. But as recent news reports have shown, there’s been volatility in the Chinese stock market, with the SSE Composite Index in Shanghai losing almost 40% since June. Meanwhile, India’s star index in Mumbai, has been more stable over the same period. In other key competitiveness rankings, such as health, education and the labour market, India falls far behind China. In fact, in many areas, it even falls near the bottom of global rankings. In health and primary education, for example, India comes in at 98th of 144 economies, whereas China sits in 46th place. In higher education, India stands at 93rd, with China ahead in 65th. And in terms of labour market efficiency, India does not even make it into the top 100: it stands at 112th out of 144 measured economies; China finishes 37th. This performance shows that merely surpassing China in economic growth won’t make India a superpower; it must also ensure its growth is inclusive. While income distribution and GDP growth indicators in India and China are neck and neck, most of the other numbers suggest China is doing a much better job of taking care of its population of more than 1 billion people. More of China’s populace is getting educated, more Chinese citizens are covered by healthcare and the country has a much larger middle class. In India large numbers of people do not have access to the basic necessities of life. There are almost half-a-billion people living in poverty: most of them are homeless, disease-stricken and in stuck in vicious circle of poverty. Thousands of people die due to the lack of basic nutrition. Life expectancy at birth is very low and infant mortality is high. Crimes are on the rise: murders, rapes, financial cons, human trafficking etc. Corruption is at all time high. Millions of Indians are still illiterate and the education system that is in place is not really effective. Thus results in large amount of unemployment. The collective nature of Chinese culture: Chinese people tend to make decisions collectively, and spend a great deal of time talking to each other. Consequently, recommendations play a critical role in their decision making process. A recent survey stated that 66% of Chinese consumers rely on recommendations; a figure far higher than other countries’. Freedom of speech: many believe that freedom of speech is a key motivator, the opportunity of expressing oneself generally is a major step forward in Chinese culture. Often individuals do not have many opportunities to make their voices heard. With the equal opportunity provided by social media, anybody can make a statement and even become an overnight sensation. Increased mobile social media tools and devices also give users the flexibility to check, communicate and interact with one another at any time and in anywhere in China, or the world. Immediate connection: by comparison with traditional media channels, social media enables a vast amount of first-hand information to be shared immediately with no time and geographic limitations. For China this symbolises an evolution of communication methods from one-way broadcast, to a two-way dialogue, now to group discussions. The popularity of voice messaging: typing in English on a small mobile device can be a nuisance; the process of writing in Chinese on a phone is even more complicated. Not only do apps like WeChat enable the user to combine many methods to interact with one another, but also the user experience has also significantly improved. With many Chinese people travelling between one city and another and international jetsetters roaming around the world; this particular method is having an amazing effect on people’s lives. However, whilst the Chinese social media scene is vastly different to that in the West, the ingredients for winning business are not so far apart. Similar to the West, social media influences consumers’ decision-making journeys at each and every stage and the basic rules for engaging with them are similar. This is because ultimately the key questions for all marketers remain the same worldwide: where and how can you find your target audience? What are the best ways to engage with the audience and convert them to sales? And how do you measure the effect of your marketing efforts, especially through social media? To help demystify how companies market themselves and their products through social media in China, let’s take a look at the Chinese social media landscape. The popular social media platforms and tools enjoyed in the West such as Facebook, Twitter, YouTube and Google are not available in China. Instead, a range of local equivalents have taken their place: Sina Weibo, Renren, Kaixin, WeChat, Youku/Tudou. Momo and Baidu.com (a Chinese search engine). According to McKinsey’s China’s Social-Media Boom report, active social media users in China are mainly divided into four groups: social enthusiasts, researchers, readers and opinionated users. Therefore, companies will need to investigate and decide on the right channel for their research or message delivery before proceeding. Using social media Companies are able to create a buzz before the arrival of their new product and pave the way for a successful launch. With the interactivity of social media, companies can learn from the feedback received from real customers or conduct market research to ensure that new products meet the demands of their customers. One recent success story is that of Volkswagen. Their 2010 marketing campaign started with a core brand proposition. Instead of “making cars for the people”, Volkswagen launched a campaign called “build the cars with the people, for the people”, called “the people’s car project”. They stimulated and participated in millions of conversations on relevant social networks, listening to what potential customers had to say. They then challenged the local community to come up with ideas focusing on car designs and functions. The participants were given online design tools to create ideas, supplemented with videos, pictures or words if the ideas were too complex to convey. Then the ideas were shared again via social media for further discussion, with engagement incentivised by badges, points and test driving experiences. As a result, they received 50,000 ideas and 450,000 votes on unique and interesting ideas. Their fan base reached 2.9 million. The national campaign of their new models of cars also involves these very ideas. It is unsurprising that these clips were watched by more than 3 million people, creating 19 million views and clicks. With such a dedicated online following, 173,000 people made visits to their promotional events, generating 700 articles of PR. Clearly their ROI would have been significant. With the unstoppable economic momentum in China and the fact that social media is spreading at an explosive pace, it is vitally important for companies to gain a good understanding of how social media works and how they might work for their objectives in China. 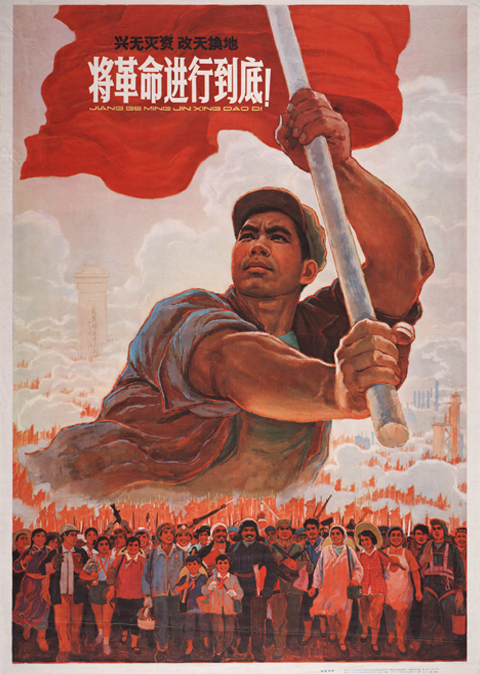 Propaganda posters are not only graphically powerful and aesthetically mesmerizing, they also offer an important window into Chinese culture. They represent the history of China from the Chinese government's perspective from 1949 onwards, and show us what the government wanted people to understand. Via these posters we gain an insight and understanding of what the Chinese people have been through and where they are today. Foster a correct spirit, resist the evil spirit, resist corruption, never get involved with it. Anti-American Empire to aim Japan. Long live the brother friendship of China and Soviet Union. Long live the friendship between the peoples and the armies of China and the Soviet Union. Vaccinate everyone, to crush the germ warfare of American imperialism! Under the red flag of Mao Zedong’s thought, pointing the way to advancement. With the help of the Soviet Union, we will do our best to realize the modernisation of motherland. Work like the Daqing oilfield workers, run businesses like Daqing oilfield. Work hard to make the country strong, transform heaven and earth. Only socialism can save China, only socialism can develop China. The return of Hong Kong, One Country - Two Systems. Carry out family planning, implement the basic national policy. Not a government poster but of the style. Sui Feifei, Adidas Olympics poster. I speak for socialist core values. After decades of the fastest economic growth in the world, China’s economy has started to slow down. This is perhaps inevitable, given an average annual growth rate of around 10% was sustained for almost thirty years following the economic reforms introduced by Deng Xiaoping in the late 1970s. But one area where China continues to develop is in the number of private enterprises being started. China simplified the process for registering businesses in February 2014, and since then there has been a huge leap in the number of new registrations. According to the State Administration for Industry and Commerce, there were 3.65m new registrations in 2014, an increase of 46% on 2013. These private businesses have driven China’s economic growth in recent decades, and their future prospects play an important role in the country’s continued transition to becoming the world’s largest economy. Before the recent jump in business registrations, China had already transitioned from having a mostly state sector economy to a private sector one. By 2012, the State Administration for Industry and Commerce, which registers new businesses across China, reported that there were more than 50m active registered private businesses, 40m of which were smaller “household enterprises”. This is a huge shift from 1978 – the year economic reforms began – when there were only 140,000 registered private businesses, generating less than 1% of economic activity. The private sector now accounts for at least three-quarters of the Chinese economy, and possibly more. Private businesses create 90% of new jobs and are the major employer in many parts of China. Meanwhile, as the private sector has grown, the state sector has shrunk. In China’s cities, where most people now live, China’s national statistics show that jobs in state-owned enterprises have dropped from over 70% of total employment in 1990 to 25% in 2012. What is striking about this transformation is that it has been recent. The private sector only really took off in the early 2000s, following widespread privatisation of smaller state-owned enterprises and collectively-owned rural township and village enterprises. In the 1980s and much of the 1990s, private entrepreneurs found it easier to register as collective (that is, state-owned) enterprises than private businesses, discouraging open entrepreneurship. The emergence of private businesses as the driver of China’s economic growth over the past ten years has been one of the most important structural changes in the country since the start of the current reform period. It constitutes a fundamental restructuring of the economy’s ownership away from the state and into private hands. This is a major shift that removes one of the core tenets of the Chinese communist party – that the state owns the means of production. However, a move from state to private ownership does not mean that the government, and party, have become side players in China’s economy. The state continues to play an important role, in shaping markets, supporting state-owned enterprises and in creating the wider conditions within which businesses grow. Many private enterprises, especially those traded on China’s own stock markets in Shanghai and Shenzhen, are actually controlled by the state through shareholdings and informal means of maintaining influence. Within this context, the Chinese state and Communist Party continue to prefer and support state-owned enterprises, offering them market opportunities, finance, political support and sponsorship that is not available to private entrepreneurs. Create the right macroeconomic conditions. The Chinese government can continue to create the wider conditions for economic growth. For example the right monetary policy and continued investment in infrastructure will create opportunities for entrepreneurs to grow their businesses. Ensuring continued stimulation of the economy, and opening up markets to more and more transparent competition will particularly help the private sector to grow. Put the private sector first. The government can ensure that some of this wider macroeconomic development is targeted specifically at the private sector. For example, more contracts for major projects could be awarded to private rather than state-owned enterprises, and government procurement could be opened up more to the private sector. There is a need to loosen the close relationship between the state and the large enterprises it owns and gives preference to. Support as well as sponsor entrepreneurs. The state can give more targeted support to the private sector, both directly to enable growth and indirectly through policy and regulation that is friendly to private businesses. There is also a role for the state to actively and publicly sponsor entrepreneurship, advocating for start-ups and private ownership as a valuable and positive career option. Protect property. The state can reinforce protection of private property, more actively enforcing the 2007 national Property Law. In particular, upholding private property rights in the courts, and finding mechanisms to help entrepreneurs clarify and register their rights would be a positive step. In addition, and as part of the current anti-corruption campaign, more could be done to prevent expropriation from private enterprises by officials. Invest in new and growing businesses. Most new jobs and wealth are created by a small group of fast-growing new ventures that scale up soon after start-up. More and better funds could be made available to private entrepreneurs running these types of business. China’s state banks continue to prefer state enterprises and to be less competitive when lending to the private sector. A strong investment system focused on private enterprises would also inject much-needed capital that would stimulate business growth. Support and fund innovation in the private sector. Developing a stronger national infrastructure for innovation that closely involves private enterprises would create a more competitive economy. Much of China’s research and development is funded in state-owned enterprises and government ministries. Opening this up to private businesses, and finding ways to fund private enterprises would create a much more innovative economy. This Article was originally published in The Conversation and is reproduced here with the permission of the authur Andrew Atherton. How will the future development of tourism from China affect you? Within only a few short years, Europe and the rest of the Western world have seen a marked shift in how Chinese experience travel. This is having a major effect on the way which destinations must market themselves to Chinese visitors. Since 2004, Chinese tourists have been playing catch up with the rest of the world in record speed. These days, the talk is of a rising consumer group consisting of self-made millionaires, and senior executives working for multinational corporations. The wealthy elite are not just men, and not just middle-aged. High-flying career women and female entrepreneurs as well as the 20-something children of senior Communist Party officials comprise this niche market for luxury travel and consumer goods. Some of the niche travel categories to emerge out of this are: spiritual journeys (to Tibet, Bhutan, Nepal and India); adventure travel (hiking, climbing, self drive safaris, skiing); cultural travel or a combination of activities. Within China itself the shift in how people travel created a boom in the construction of luxury hotels, both large chains and small boutique offerings. There has also been a massive growth in the budget hotel sector, with local and international chains scrambling to find locations in China’s booming cities. Rural retreats are opening up to offer relaxing therapies to busy business people. The trend towards more individual choices in travel is apparent in the larger cities. Looking ahead, it is plain to see that the old clichés about Chinese tourists no longer hold true. The sheer size and complexity of the market means that there is demand for almost any type of travel service, provided the seller knows where to look. Chinese who can afford luxury are educated and well traveled. Broadly speaking, they would prefer to be treated the same as clients from other countries while still enjoying special amenities and services afforded especially to Chinese customers. Fast forward to 2015 and what has changed is that now the constant online chatter through mobile instant chat apps has been accepted as integral to doing business and China is leading the world in connectivity and use of mobile smart phones. 13 years ago, the challenge was convincing travel agents to offer individual travel services, not just group tour packages; since agents were used to collecting commissions from wholesalers for each person that they booked on a group tour. China began to allow its citizens to travel abroad for leisure in the early 90s through a policy known as ADS (Approved Destination Status), which was meant to control the outflow of tourism and link it to a growth in inbound tourism through bilateral tourism agreements. In fact outbound tourism has grown much faster, but from a smaller base, while inbound tourism to China has slowed down due to various factors including pollution, brand image and lackluster marketing initiatives. Regarding individual travel, only when travel agents saw the ease and speed with which such bookings can be made online and the handsome profit margin on these orders, did they begin to shift towards independent travel. During the three years I spent living and working in China, we connected more than 5,000 travel agents to the online booking system and saw online bookings grow 600 percent. During that time, Ctrip grew to become the dominant online player and led a wave of companies offering online travel service focused on the domestic travel market. There is no question that a new generation of Chinese travelers has embraced the Internet for their travel research and booking needs. While the share of travel transactions conducted online is still low compared to Western economies, online travel is growing at twice the pace of all travel. The leading OTAs in China are spending big to attract new customers through building loyalty and focusing on brand recognition. Within only a few years, Europe has seen a shift in how the Chinese travel that is affecting the way in which destinations must market themselves. When Europe joined the ADS agreement in 2003, the Chinese arrived in large, organized group tours that covered 10 or more countries in less than 14 days. Their daily schedule started at 6am and ended late at night, spending most of their time on board a coach and never more than one night in the same place. After the long period in which businessmen traveled in small groups, the first ADS tours consisted of a mixed demographic and included visits to the most famous landmarks in Europe. Tourists saved on accommodation and food in order to have spare cash to spend on shopping. The reason retailers love Chinese customers is that when they travel they feel obliged to buy gifts for their relatives, friends and co-workers. Often what they buy must be unique to the place where they buy it, as another testament to their travel (apart from the ubiquitous pictures). From 2004 until today, this trend has rapidly changed as Chinese catch up with the rest of the world in record speed. These days, the talk is of a rising consumer group consisting of self-made millionaires, and senior executives working for multinational corporations. The wealthy elite are not just men, and not just middle-aged. High-flying career women and female entrepreneurs as well as the 20-something children of senior Communist Party officials comprise this niche market for luxury travel and consumer goods. Some of the niche travel categories to emerge out of this are spiritual journeys (to Tibet, Bhutan, Nepal and India); adventure travel (hiking, climbing, self drive safaris, skiing); cultural travel or a combination of activities. Within China itself the shift in how people travel created a boom in the construction of luxury hotels, both belonging to large chains and small boutique offerings. There has also been a massive growth in the budget hotel sector, with local and international chains scrambling to find locations in China’s booming cities. Rural retreats are opening up to offer relaxing therapies to busy business people. The trend towards more individual choices in travel is apparent in the larger cities. Looking ahead, it is plain to see that the old clichés about Chinese tourists no longer hold true. The sheer size and complexity of the market means that there is demand for almost any type of travel service, provided the seller knows where to look. Chinese who can afford luxury are educated and well traveled. Broadly speaking, they would prefer to be treated the same as clients from other countries while still enjoying special amenities and services afforded especially to Chinese customers. 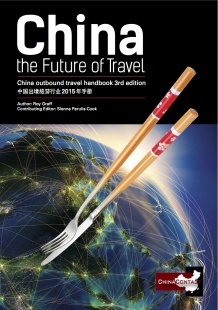 The newly updated and expanded China Travel Handbook 2015 launched today is intended to help set into context the media hype and excitement across the industry, and provide deeper insights about this market to people working in the tourism, hospitality and retail sectors. Articles and reports about Chinese tourists can be found everywhere, and I’ve first written about the vast potential of the market in 2005. This book contains interviews and case studies from industry insiders that have many years of experience working in, and with the Chinese outbound tourism market. Each brings their own perspective to form a rounded picture of the opportunities and challenges. 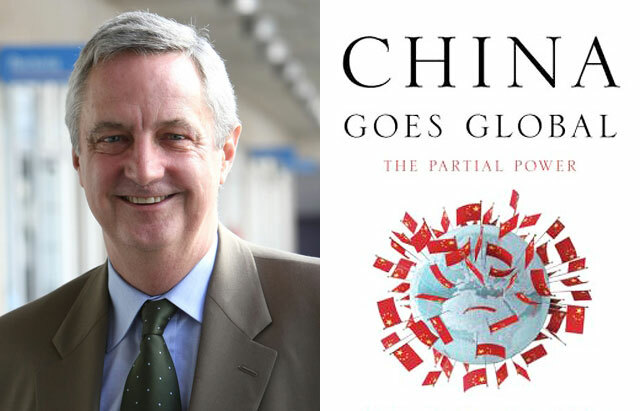 A growing army of prognosticators forecasting a Chinese hard landing and the collapse of Communist rule has an unlikely, but distinguished, new recruit: David Shambaugh. His Thesis may well prove inaccurate but at least some of the symptoms he identifies as contributing to the regime’s ultimate collapse are real and they are eroding faith in the new leadership’s appetite and ability to make the difficult changes need to ensure sustainable development in the years ahead. David Shambaugh is among the most sober-minded of experts on modern China and respected in both the U.S., where he teaches at George Washington University, and in Beijing, where he has been feted by the government. Shambaugh’s reputation as one of the more insightful China analysts is why his gloom-laced op-ed in the Wall Street Journal, which predicts a crisis and the end of Communist Party rule in China, has created such a splash. Critics have been quick to pounce, arguing that the symptoms of China’s collapse identified by Shambaugh have waxed and waned for years and arguing that he underestimates the Governments ability to survive. But Shambaugh’s analysis demands attention in this climate of growing concern about the health and stability of the Chinese economy, as well as the direction of the country under the rule of President Xi Jinping. His is a risky prognostication – if nothing else, it’s hard to see how this won’t upset influential people in Beijing – but one that can’t be dismissed out of hand. One of the five fault-lines that Shambaugh says will bring about the end of party rule is the economy, and specifically the leadership’s failure to institute the ambitious package of reforms adopted during the Third Plenum in November 2013. Premier Li Keqiang said in his 2015 work report last week his government is targeting economic growth of around 7% this year, confirming a widely-anticipated embrace of a slower pace of activity as part of the economy’s “new normal”. That was the key takeaway from a report which otherwise resorted to the usual list of reform pledges. These reforms, which include capital account opening, interest rate liberalization, a clean up of local government finances and an opening up of industry to private funding, lie at the heart of the Chinese government’s commitment to secure the economy, and the country’s, future. The Government has opened a free trade zone in Shanghai intended as a laboratory for capital account opening. It has also allowed limited direct trade in equities between the Shanghai and Hong Kong stock markets. The Ministry of Finance has begun sifting through submissions of debt holdings reported by local governments to decide just how much it intends to take onto the central government balance sheet while more provinces are expected to be allowed to sell bonds directly to the market this year. The managers of big state firms have seen their pay slashed while at least token efforts have been made to open state industry to outside investors. The problem is that this progress has been stuttered so far – Shambaugh says vested interests are successfully blocking implementation -- and the leadership has done a poor job in articulating just how it intends to put its lofty reform goals into practice. Some officials and advisors believe the government’s targets for this year are too ambitious, while progress on reform has been too limited. The Government was able to muddle through the post-global financial crisis years but the new leadership came to office determined not to repeat the sins of the past, but to remake China and secure its economic future. The lowering of the economic growth target signals Beijing’s commitment to that process, as well as its acknowledgement that the days of freewheeling growth are behind. Premier Li says China doesn’t need to grow as quickly as it did in the past, and that a burgeoning services sector can provide the jobs needed to allow for a slower pace of expansion. But his work report was a disappointment to those expecting a more aggressive pace of change. The target for the fiscal deficit this year was increased, but only to 2.3% from last year’s 2.1%. Even with funding carried over from 2014, this points to ongoing fiscal conservatism, with banks continuing to play an outsized role in funding the investment needed to deliver headline growth rates. In the meantime, Chinese debt levels are continuing to rise and a slowing economy is putting ever greater pressure on the financial system. China's debt load has quadrupled since 2007 and now stands at 282% of GDP. It is on track to hit Spain's 400% in three years, according to the latest unofficial estimates. Betting against the Communist Party has been a losing game so far. This year marks the 14th anniversary of the publication of ‘The Coming Collapse of China’, a study which has been mocked for the surety of its prediction of the end of the regime. Its author, the lawyer Gordon Chang, continues to insist that China’s hollow, debt-ridden banking system will eventually drag the regime down. Shambaugh’s previous study was about the Communist Party’s ability to adapt and survive – research which highlights the risk of making bold predictions about the end of days. That said, the new Chinese leadership has successfully outlined China’s problems and the need to fix them. But a leap of faith is still required to see just how the party intends to break with the past and successfully rebalance the economy. As part of it`s continued efforts to reduce the dominance of the US dollar for International trading and increase its own export growth, China is to increase the pace of its free trade negotiations in 2015. China will launch Free Trade agreement (FTA) negotiations with Israel and initiate FTA feasibility studies with Colombia, India, Nigeria, Nepal, Maldives and the South Pacific island nations. FTA`s help companies to both diversify their business` and increase their exposure to global markets as well reducing basic cost of goods due to the removal of tariffs: the New Zealand dairy industry is reported to have achieved a fivefold growth as a result of the China-New Zealand FTA. Currently standing at some 2.32 trillion USD (2014) the slowdown in export growth in China is seen as a clear risk to the stability of the economy in 2015. With the deterioration of international consumption, low global employment rates and rapidly increasing competition from Asia: China has realized it must complete a restructuring to its manufacturing base. Key to stabilizing this slowdown is increasing the number of FTA`s, pushing the Chinese currency to play a bigger role in foreign trade, developing new trading routes in neighboring regions, and exporting more value added products onto the global market. 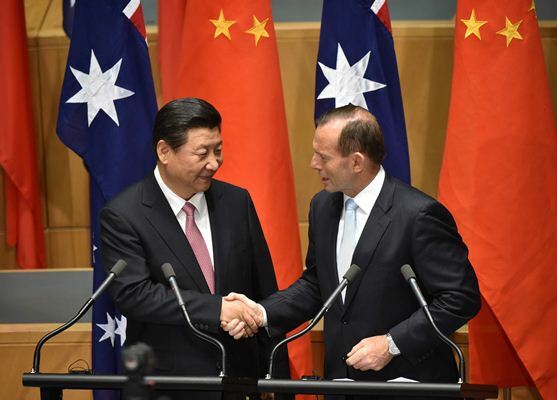 FTAs are also of significance to its foreign policy. While strengthening economic ties with its trade partners, China is able to maintain friendly and cooperative relations with many countries. Most FTAs include provisions calling for dialogue and cooperation among the trade pact parties. And is undertaking feasibility studies with: India, Colombia, Israel, Moldova, Nigeria, Nepal, Maldives and the South Pacific Island Countries. A further force for change is the rapid growth of the 12 member Trans Pacific Partnership, dominated by the USD and US financial policy: seen by China as restricting its exports due to currency issues. In order to protect the value of the RMB China must encourage more use of its currency in international trade, swap arrangements between central banks, bank deposits and bond trades. The aim being, implementation of currency settlement agreements, effectively promoting more currency exchanges between different markets to stimulate export and reduce foreign governments dependence on the USD. China is now demonstrating a greater determination to engage in a higher level of liberalization of trade and integration with its trade partners. FTAs are bolstering China’s status within global production networks and integrating it within the global hub. For smaller Asian countries it is no surprise that China has emerged in the last decade as an essential trading partner, Sri Lanka is no exception: becoming it’s largest foreign finance partner in 2010, overtaking India and Japan, and as its third largest trading partner (bilateral trade was $3.62 billion in 2013). For China, Sri Lanka is a crucial gateway port providing it with a foothold near sea lanes in the Indian Ocean and entry into what India considers its sphere of influence. The longer term aim being to access and secure crucial oil exports from Iran and the Middle East. Utilizing development loans of nearly 5bn USD from China over the last 5 years Sri lanka has heavily invested in numerous infrastructure projects to boost its rapidly growing services sector: China is currently financing more than 85 percent of the Hambantota Development Zone, to be completed over the next decade. This will include an international container port, a bunkering system, an oil refinery and other facilities. Simultaneously the development of the Pakistani port of Gwadar which is to be run exclusively by China, provides an indication of Beijing fast growing influence in the Indian Ocean. 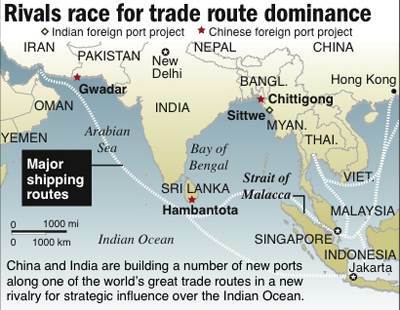 China’s influence is now firmly embedded in Sri Lanka — economically as well as geopolitically: the docking in Colombo last year of a Chinese submarine certainly would have raised a few eyebrows in Delhi and forced India into a re-assessment of its relationship with Sri Lanka. However the new Government of President Maithripala Sirisena might just take a step back to re-asses it`s continued love of Chinese financing. $1.5 billion port project in the southern coastal town of Hambantota being built by China Communications Construction Co.Ltd. It has the potential of being developed as the deepest and largest harbour in the world, with a location just half an hour off the world s busiest sea-lane which is used by 100 - 200 ships a day. Sri Lanka`s 2nd International airport in Mattala has facilitated numerous direct flights between China and other Asian cities. The Colombo Lotus Tower, being built by CEIEC and funded by Exim Bank of China, which will be the tallest tower in South Asia. The $1.2 billion Lakvijaya coal power plant in the northwestern town of Norochcholai being constructed by China National Machinery and Equipment Import and Export Corporation (CMEC), with a planned ultimate capacity of 900 megawatts. Once on-line it is estimated electricity costs will fall from the current RS/11 to RS/5. China and Chinese firms are actively participating in development of Sri Lanaka's highways and expressways, mostly funded by Exim Bank of China and built by China Metallurgical Group Corporation. (Colombo International deep water Container Terminal, completed in 2013 by China Merchants Holdings International). The question now is how far the new Sirisena government will be willing or even able to go in addressing concerns about Chinas influence in Sri Lanka that he was vocal about prior to the elections. 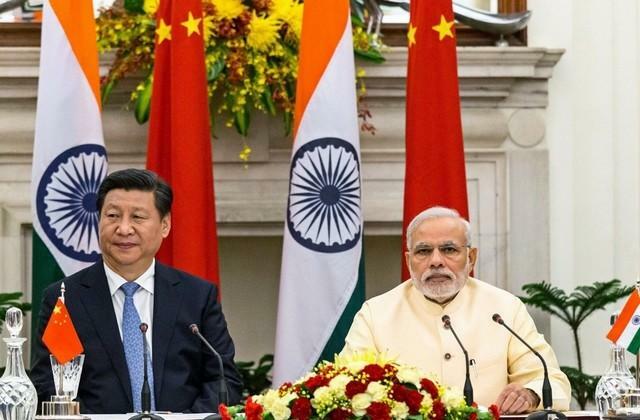 Whilst the growth of China`s influence may well slow, the new government must also see that nurturing equal relations with all regional powers and in particular India, is in its best interests. The country still needs significant development loans to continue its infrastructure development and attain its 7.4% growth target for 2014. However further loans from China, at rates far above those from the Asian Development Bank or countries like Japan, seem to be off the agenda for now. Interest payments now currently amount to 75% of GDP according to Moody`s, creating a significant debt servicing burden. China is actively pursuing mutually beneficial relationships throughout Asia and supporting these with infrastructure, loans and joint ventures. With a FTA (free trade agreement) due to be signed into force later this year, Sri Lanka will continue to benefit from its relationship with Beijing, however a reassessment of the long term benefits and costs is certainly underway. It is now very much up to India to turn the political change in Colombo to it`s advantage. Once the most prosperous nation on earth, the recent report from the International Monetary Fund suggests that we are witnessing a return to this status quo, with China’s purchasing power parity (PPP) adjusted GDP estimated for the year at $17.6 trillion, compared to $17.4 trillion from the US. Economists have been forecasting for some time that China will become the world’s biggest economy on a GDP basis by mid century. The new PPP calculations do provide fodder for those predicting a Chinese century. However, in China, there’s none of the triumphalism that might be expected from receiving such an accolade, and the muted response is telling. China may welcome the power, but it doesn’t want the responsibility of leading global discussions on pressing issues such as climate change or international financial regulation. As far as the Communist Party of China is concerned, there’s more than enough to be doing at home without having to take the reins on fixing and managing the global system, as the U.S. has done, and Britain did before. But the estimates again highlight the flaws of measuring economic size based on purchasing power parities. Economists argue that PPP measurements, which are designed to estimate prices in a given country regardless of exchange rates, are an inaccurate gauge of economic size, owing in part to problems with measuring prices from country to country and the infrequency with which they are measured. China adds a further level to the problems of calculating PPP figures by centrally controlling exchange rates to keep them artificially low, thus altering the accuracy of PPP figures. A critical flaw in new report is its failure to include per capita calculations. China’s population of 1.3bn is over three times the size of America’s, thus China has a gross GDP greater than America’s, but its per capita GDP remains level with that of Albania. The Chinese government relies on per capita statistics to measure its economy, acknowledging that Chinese economic development is far from world-beating. Indeed, China’s per capita GDP was just over $6,000 in 2012, according to World Bank statistics, nearly double the 2009 level and less than Asian peers such as Malaysia but well below the $51,749 of the U.S. In fact, China’s leaders worry that the economy is more likely headed in Malaysia’s direction than to become a direct challenger of the U.S. for global dominance. Malaysia is often cited as one of a number of countries believed to have fallen into the “middle income trap”, when the dividends of an early push for industrialization fade and income levels languish below developed country rates. As wages have surged and its population begins to age, China’s leadership is acutely aware of this risk. The “Decision” document which followed last November’s 3rd plenum is an ambitious blueprint for reform which is effectively designed to avoid this trap through deregulation and integrating China more fully with the global economy. Even as the World Bank report has reinforced preconceptions about China’s supremacy and the end of American dominance, the Chinese economy has slowed sharply towards 7% from as much as 15% during the last decade, as its base becomes larger and as environmental and resource constraints bite. A growing number of China speculators see growth continuing to slow this decade towards the low single digits, as an increasing share of economic resources are channelled towards servicing debt. While China’s economic growth may be slowing, its national debt stands at just 24% of GDP, compared to the US national debt of 74% of GDP in June 2014. While China’s debt is growing, its credit situation remains far better than that of the US. This is another important factor for consideration when assessing economic success, and one that falls convincingly in China’s favour. 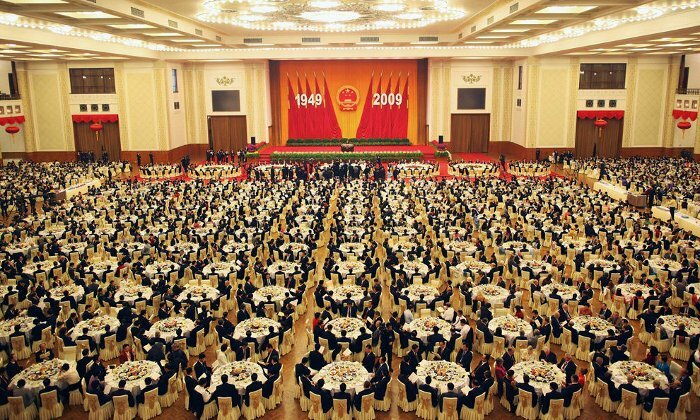 The Communist Party has long known that it must be careful not to overdo its economic triumphalism, given how much of the Communist Party’s legitimacy hangs on its ability to consistently raise standards of living amongst China’s populace. China remains very inward looking. China’s economic rise, coupled with the humbling of the western economies after the global financial crisis, has seen a shift in how Beijing projects its power. It’s perhaps understandable that China’s leadership appears less interested and willing to countenance calls from the west on how to run its economy and its foreign policy. China’s development is incomplete by a wide margin, and that provides strict limits to its global assertiveness. But China’s senior leadership believes that urbanization will continue to spur economic activity. China’s urbanization rate is now at around 53% -- in 2012, more Chinese people lived in urban areas than in rural for the first time in its history – and the government sees that rising to 60% by 2020 and towards U.S. levels at around 70% some time in the decades after. Those goals envision nearly 240 million people moving into urban areas, or at least, living in upgraded rural areas, some time before the end of the next decade. With growth slowing and economic risks rising, urbanizing 240 million over the next decade or so promises to be considerably more difficult than the previous 240 million. Faced with that considerable challenge, it’s unsurprising that Beijing is unwilling to believe the hype related to the latest PPP GDP figures, or to assume the role of a super economy. Looking to history, the path of the US in becoming a global economic superpower has some comparable features to China’s current state. Despite nominally becoming the world’s largest economy at the end of the 19th century, the US maintained an insular, inward-facing path until the end of the Second World War. It was then that it used its economic advantage to assume the role of a global superpower through financing much of Europe’s post-war reconstruction. It would appear that China remains in this transition period. With each year it claims another accolade of its economic supremacy, but is as yet reluctant to take on a more political role. The next decade will prove crucial in determining China’s future path. 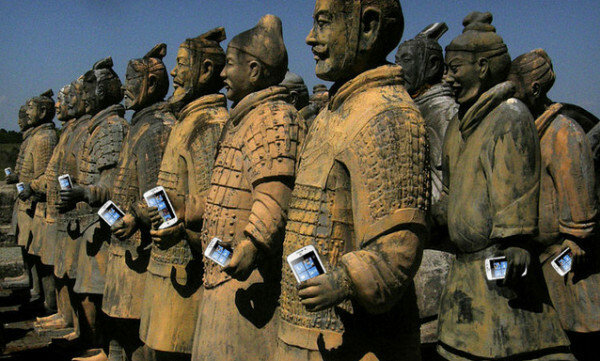 Will economic growth flounder or will we see the much hyped century of Chinese hegemony begin? Will China forge a divide between economic dominance and political supremacy, or will we see a new world order with China calling the shots of both economic and political power? Much has been reported on the plight of workers migrating in droves to make a better living in the cities, but little attention has been given to the wives they leave behind. 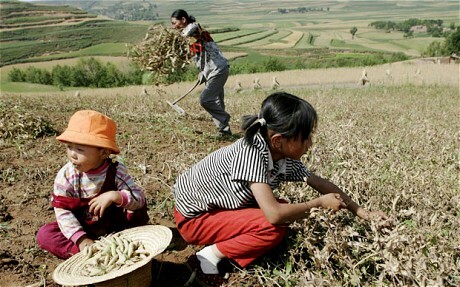 According to the All China Womens’ Federation, there are up to 50 million of these ‘left behind women’ in rural China.The impact of this rural exodus reaches every corner of these women’s lives, from their daily workload to their role in the family structure. Perhaps the most immediate effect of this exodus is the increased burden of domestic and farm work on the women left behind. The Harvard Asia Pacific review suggests that 60% of rural farm work is now done by women, compared to 40% in Africa and just 20% in the Americas (FAO 2011). Once the preserve of men, left behind women have to undertake tough manual labour to maintain their village lands. Additionally, women are still responsible for their traditional domestic duties, so are left with a double burden of farm work and domestic chores. Older generations are also involved, as much of the burden of childcare traditionally falls upon grandparents, as younger women are occupied working in the fields. It is this support from family members and the wider community that can change alleviate the double burden of left over women and help them gain independence. The increased responsibility of left behind women has also led to increased independence and social standing in rural communities. With their husbands away, women take over as head of the household, making decisions independently and managing the household. Interestingly, left behind women who assume the leadership of the household are promoted to the same social position of male heads of households, a positive indicator for gender equality. The increased independence can be seen to empower rural women to further pursue positions of authority on a wider scale. According to Xinhua news agency, 2092 villages in Heilongjian prefecture alone are now governed by women. This is made all the more remarkable by the continued popularity of Confucianism and the strict patriarchal order it condones. This empowerment seems to have also emerged in the commercial sector, with increasing numbers of rural women participating in commercial enterprises such as local textile and domestic businesses. Rural women are turning to township enterprises to supplement their income, with the state and charities offering loans to support them. 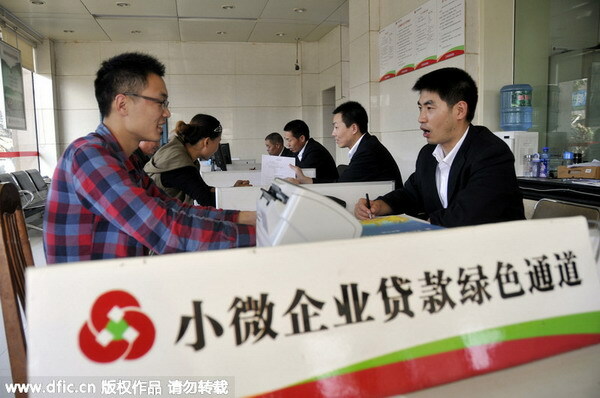 According to China Daily, Yongren County alone has provided a total of 20.41 million yuan in preferential loans to left-behind women since 2009 . Not only are women entering commercial workplace, but they are become entrepreneurs and business leaders. In the provinces of Jiangsu, Guangdong, Anhui, Fujian and Henan there are 2000-3000 female directors of township enterprises, Xinhua reports. The case of Li Jiyan of Yongren country illustrates well how women are changing their own lives through township enterprises. Li started her own embroidery business in 2009 after her husband left for the city and has not looked back since. Her annual production revenue is now more than 3 million yuan. "Before I started my own business, my income was 2,000 to 3,000 yuan per year. Now I make 150,000 to 160,000 yuan a year," Li said, adding that all of the left-behind women in her village have joined her association to embroider. With the average annual rural income remaining at about 5000 yuan (Chinese National bureau of statistics), this kind of situation is far from widespread. However, more and more women are entering businesses: it is currently estimated about 65% of workers in textile and domestic enterprises are women. However, a significant hurdle still to overcome is that of educational equality. Despite the increased empowerment of women, and an increase in the number of household led by women, there remains a significant gender gap in schooling. According to one study by Hannum and Park, among a group of 400 Junior High school aged children, girls were 39% more likely to have left school than boys. However, compared to 20 years ago this gender inequality is now both less pronounced and also only appears when children are older and at a later stage of their education. Thus it would appear that although the migration of men to the cities has had a positive impact on the independence of some rural women, it has yet to significantly permeate into the realm of education. While the number of success stories in undoubtedly increasing, the situation of left behind women is still a double edged sword – they have an increased double burden but also benefit from increased independence and empowerment. While the rural lifestyle may be attractive to some, the bright lights of the big city are still a huge draw. The promise of a more independent life away from home, and a vastly increased salary potential still draws huge numbers of young women to China’s urban metropolises in pursuit of a better life. While it perhaps too early to come to a definite conclusion, especially given the vastly different experiences of left behind women in different situations it would appear that there is a steadily increasing number of independently minded rural women. As long as they have sufficient support from their family and the community, it would seem that women are starting to embrace the responsibility and economic opportunities left by the absence of their husbands. This will undoubtedly continue in the future as more and more Chinese women are empowered to strive for independence and success of their own. Now entering its second year, China`s anti-corruption drive is truly making progress and raising a few eyebrows internationally in both its depth and continued commitment to removing both the culture and perception of corruption in the country. According to the Transparency International 2013 Global Corruption Perception Index (CPI), China is currently ranked 80 out of 177 countries, below South Africa and Brazil. Furthermore, out of the 28 economic powers included in the 2011 Bribe Payers Index Report, China ranked 27th, above only Russia. These figures paint a damning picture of the state of corruption in China, one which Xi is undoubtedly looking to change under his premiership. The long term aim of his anti-corruption drive is to reduce the level of Chinese corruption more in line with that of the country’s main economic rivals, namely the US in 19th place on the CPI. China will establish a new anti-graft body to further strengthen its efforts to rout out corrupt officials. The plan for a new anti-graft agency was put forward by the Party committee of the Supreme People's Procuratorate (SPP). A vice-ministerial level, full-time member of the procuratorial committee will hold a concurrent post as head of the new anti-graft agency. This new agency will further the work of the Central Committee for Discipline Inspection (CCDI), a secretive agency that leads the investigation of corrupt officials. The numbers of investigations are impressive: in the first half of 2014, prosecutors investigated more than 25,000 individuals on suspicion of corruption, according to statistics released by the Supreme People's Procuratorate in July. Companies and public service groups supervised by the Communist Party of China and government departments will now face a new round of top-level disciplinary inspections amid China's anti-corruption drive. The anti-corruption drive has not just been based at home. It has moved into the international sphere with the CCDI Operation Fox Hunt extended to arrest corrupt officials who have fled abroad. During the recent APEC meetings, Western governments were approached by Beijing to help find such officials and to recover money that has been spirited abroad to relatives. On 17th November, Xinhua news agency reported that during the 4 months of Operation Fox Hunt, the number of suspected fugitives arrested as part of the operation stands 288. The effects of the anti-corruption drive are beginning to be felt both in China and abroad. With Chinese officials changing their past lavish spending habits due to fears of being tainted with accusations of corruption, Chinese government bank deposits have increased by a yearly average of almost 30% since early 2013, according to the BBC. However, this is taking a toll on China’s already slowing economy, causing an estimated reduction in growth of 0.6% this year: entire restaurant empires were built on a foundation of lavish spending by government officials hosting and toasting one another. It was exactly this sort of conspicuous consumption that Xi Jinping has correctly perceived as highlighting the disparity in wealth between the ruling class and China's working people. Furthermore, the desperate scramble of officials to send their ill-gotten gains overseas has seen a rise in the already high levels of capital outflow from China. Indeed, the US-based non-profit group Global Financial Integrity estimates illegal cash out- flows from China amounted to some $2.83tn between 2005 and 2012. While this undoubtedly demonstrates the high cost of corruption, the level of legal cash outflows from China is also rising, with businesses and wealthy individuals investing their wealth overseas for fear of becoming embroiled in a corruption scandal. The Financial Times reports that during October within the period of a week, Anbang purchased the Waldorf Astoria in New York for $1.9b and Belgian insurance company Fidea. This is far from the only example, with some even predicting that this capital outflow will dwarf the gains from the anti-corruption drive. Xi’s anti-corruption drive has already seen many prominent figures fall, and is likely to see many more in the coming months. The long term impact of the campaign is uncertain, but it is clear that Xi’s motives go beyond just consolidating his rule; all appearances indicate a genuine effort to end the archetypal problem of Chinese corruption.